Join us at the Take Root Milwaukee Homeownership Fair on Saturday, August 26, from 8 a.m. until noon. Speak with lenders, neighborhood organizations, homeownership specialists, and Realtors®. Learn about loans and grants available for homebuyers and existing homeowners, attend a workshop on homebuying and rehab, or join the Harambee homes tour. Staff from DCD Real Estate and NIDC will host a table at the fair to encourage home buying in the city, promote City-owned properties for sale, share valuable resources, support the Strong Neighborhoods Plan, and provide information on City programs available to residents. View our Current Listing of homes for sale available to owner-occupants only. Offers are due on September 12 at 10 a.m.
After 30 days on the Current Listing, any unsold properties will move to the Extended Listing or will be listed with our outside agents. Work with your realtor to locate your new home! Homes for sale on the Extended Listing are available to investors who want to earn rental income and owner-occupants. Bids due Sept. 12 at 10 a.m.
3 BR / 2 BA • 1,172 sq. ft. This 2-story, side gabled, side entry cottage was built in 1924 and is located in the Garden Homes Neighborhood, which is listed on the National Register of Historic Places. The lot is 3,978 sq. ft. and includes a side drive with detached garage. 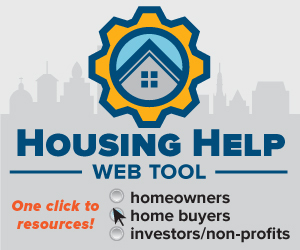 The Department of City Development (DCD) has created a new tool as a single resource for those looking for housing information and resources from various City departments. FREE Homeownership Fair - Buy it. Fix it. Keep it. Visit and talk with lenders, neighborhood organizations, homeownership specialists, and Realtors®. 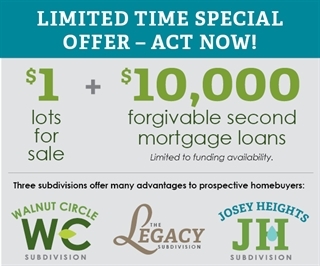 Learn about loans and grants available for homebuyers and existing homeowners, plus the $20,000 fully forgivable rehab loan with purchase of City-owned homes. Homebuying & Rehab Workshop (9 a.m.). Neighborhood Homes Tour, first-come, first-served (10:30 a.m.-11:30 a.m.). Visit TakeRootMilwaukee.com or call (414) 921- 4149 with questions or to get started on your path to homeownership today. Sign up for this event on Facebook. Staff from the City of Milwaukee’s Department of City Development will have a table at Washington Park Wednesdays, a summer concert series at the beautiful Washington Park bandshell, to discuss the draft recommendation for the WIS 175 Visioning Study with residents. This will be very informal, so please come to this free, fun, and family-friendly event and stop by our table. Bring a friend or neighbor! Washington Park bandshell, 4599 W. Lloyd St. Please join us for an upcoming free Power Hour information session to find out how you can install solar with the group buy program and be a part of Milwaukee's clean energy revolution! Saturday, August 26, 1:00-2:00 p.m.
Sherman Perk Coffee Shop, 4924 W. Roosevelt Dr.
Wednesday, August 30, 6:00-7:00 p.m.
Woodland Pattern Bookcenter, 720 E. Locust St.
Southside Organizing Committee,1300 South Layton Blvd. Tuesday, September 12, 6-7:30 p.m.
Shop and compare – affordable lot pricing means more house for your money! Read about Josey & Walnut subdivisions in Milwaukee Downtown's Ripple Effect newsletter. Constructed in 1927 for use as a small bank branch, this attractive Neoclassical brick building sits on the edge of the lively Riverwest neighborhood. At 7,980 square feet, this 2-story building occupies a large 20,520 square foot park-like lot and is on the corner of a highly visible intersection. Buyer is responsible to adapt existing building for an alternate use which would be complementary to both the Riverwest and Harambee neighborhoods. Proposals will be accepted and reviewed on a continuous basis until an acceptable proposal is received. Constructed in 1903, with two additions in 1911, this Romanesque Revival former school building features 62,555 square feet of space and occupies a 69,000 square foot lot. Buyers may re-use existing building for alternate use or demolish and redevelop the site. Proposals should complement the future development envisioned for the Washington Park Neighborhood. Proposals will be accepted until 11 am, Thursday, August 24, 2017. Late proposals will not be evaluated and will be returned to the sender. View this property and more Surplus Schools for sale.